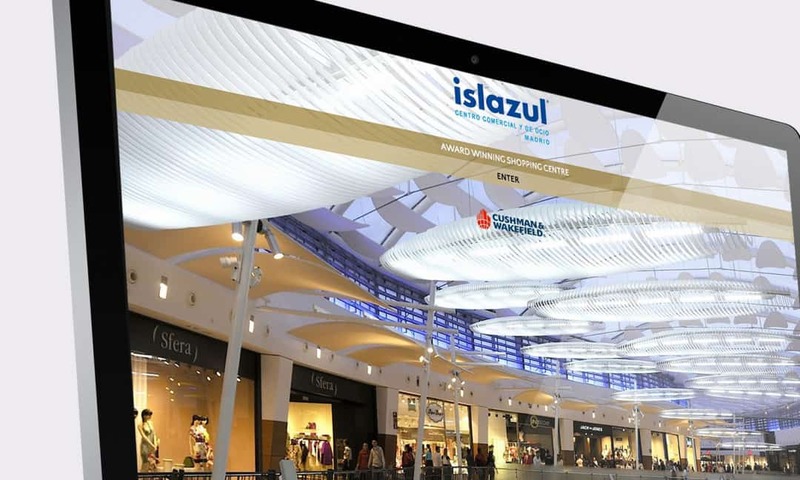 Team Creative was appointed by leading global commercial property agency Cushman & Wakefield, Madrid, as their investment team look to bring in a digital marketing agency to develop a bespoke online data room for their latest retail investment opportunity, Islazul. Producing innovative marketing campaigns and strategies for overseas markets is something the Creativeworld team has had vast experience of in recent times, having previously worked closely with international clients in both Russia, Saudi Arabia and most recently Ireland. Our bespoke data rooms are an online platform, found through a registered domain name, that allow you to upload confidential files such as legal documents, tenancy schedules, floor plans and even photography to a secure private log-in area, which can be accessed only on request. Anyone wanting to view or download these hidden documents must first be granted access; once granted access the individual will be sent a set of personal log-in details which will enable them to release the files. The newly developed data room includes a uniquely designed front end which allows images of the award winning shopping centre to do most of the talking. 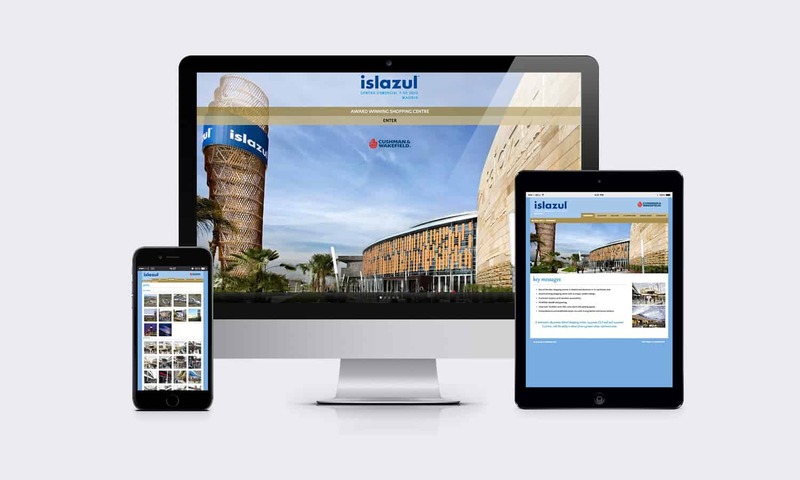 Once users enter the site, they are able to explore the investment in more detail. Key messages are presented along with links to a photo gallery, floor plans, contact details and a separate download area. It was important to Cushman & Wakefield that we created a design concept that best represented the retail centre’s individual personality, style and appeal. With this this in mind we decided it would be beneficial to incorporate the scheme’s striking imagery available throughout.